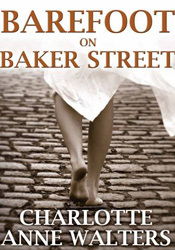 Barefoot on Baker Street is a novel by Charlotte Anne Walters. The narrative follows Red and her amazing journey from the Victorian workhouse into a life of crime before she meets Sherlock Holmes and Professor James Moriarty. To celebrate the release of her novel Barefoot on Baker Street in 2011, writer Charlotte Anne Walters undertook the task of reading and reviewing one of the original Sherlock Holmes short stories every day until she had completed all 56. The reviews were posted daily on her blog and attracted viewers from all over the world. The reviews are full of humour and Holmesian insight, ending in a score out of ten for each story. 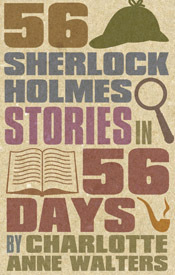 This book contains all 56 blogs plus additional material including reviews of Sir Arthur Conan Doyle’s four Holmes novels. Although it was a pleasure for a life-long Holmes admirer to re-visit the stories, trying to do this on top of holding down a busy full-time job and family commitments was a big challenge – resulting in some stressful but comical moments detailed in the blogs. Even Mr Walters couldn’t resist throwing in a few comments of his own. Charlotte is donating all her royalties from this publication to the Undershaw Preservation Trust, a charity striving to protect and restore the former home of Sherlock Holmes creator Sir Arthur Conan Doyle. The Continuity Girl brings together Sherlock Holmes, the Loch Ness Monster and a touch of romance – no easy feat! Was Sherlock Holmes capable of romantic love?